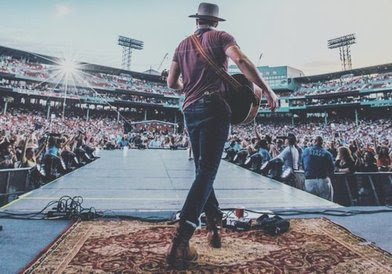 One of Drake White’s signature qualities is his ability to deliver consistent, passionate performances in both live and album settings. Last week he shared some of that passion with a group of youth in the Notes for Notes® studio, located in Nashville’s Boys & Girls Club. The artist, lauded by Entertainment Weekly, Rolling Stone and Billboard as a “Hot New Country Artist to Watch,” shared songwriting tips, started a song with one of the youth and encouraged each in the group to dive in and create their own style of music. It was a complete blast. I was encouraged by their talent; their lyrics and energy were off the charts! I can’t wait to do it again,” said Drake. In addition to partnering with Notes for Notes® this week, Drake also announced a full run of tour dates in the U.S., UK, Germany and Ireland. For a full list of tour dates and tickets, visit Drake’s website at www.drakewhite.com.